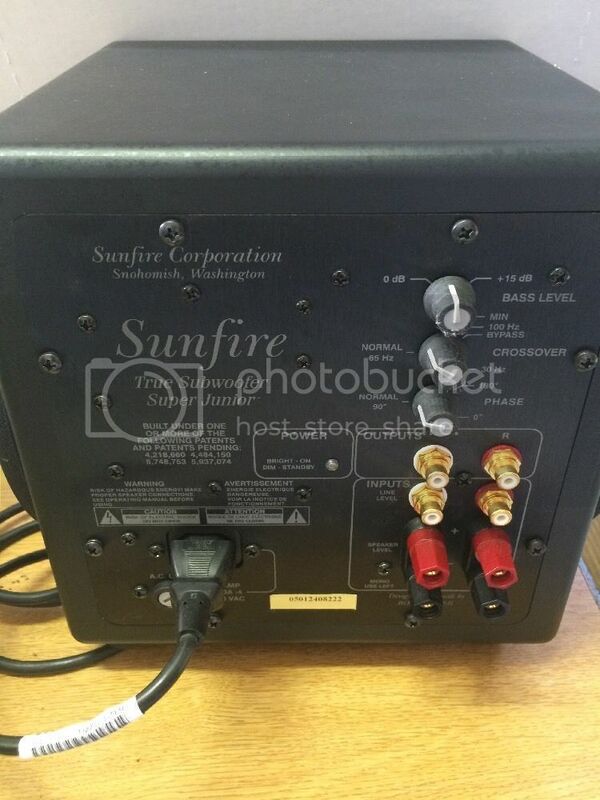 So last year, Kingman had at CF a purty little woofer, the Sunfire 8" SDS-8, I think. Also in the Sunfire line is two other 8" models. 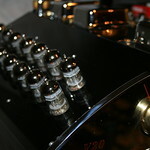 The HRS-8 and True Subwoofer Super Junior 8". So three different 8" Sunfire models alone....before considering any bigger drivers or other brands. So the small size of the CF speakers makes the matchup of a smaller woof-woof seem right. Plus, I'm hoping to long term use my pair in my office at work, where a big woof won't fit and if I thump super deep I'll just be in trouble that much faster than normal. So in this case, going down more than about 30hz doesn't make any sense here, making the 8's seem kinda right in two ways. The SDS model you can pickup new for about $225 shipping included. The HRS goes about double that new. Kinda looks like the Super Junior and the HRS may be limited to going up to 100hz? 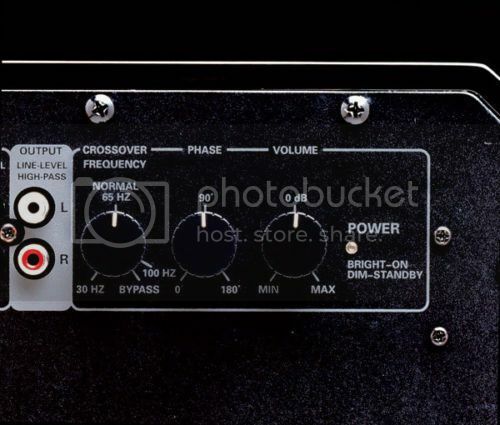 The SDS-8 is listed as having a crossover that goes up to 150hz. I like the idea that it can go up higher as long as that higher range sounds ok. If crossover is built in for the mains, then lifting the lows off the little guy drivers should mean a little less distortion in those...and more output SPL maybe for some folks, though that wouldn't mean anything to me. Looks like the SDS is the only one that doesn't have high level in. So it would seem there are some setup differences in these while trying to keep things simple. So who has what thoughts on these? A decent little woofer that's not trying to be the best of the best as far as excursion, bottom end, fit into a tighter place and so on. What's the real experiences here on these models?? Anything else out there that's worked real good and kind of fits this situation? Thanks for your thoughts and info! I had a Sunfire Jr. sub Mark...8 incher. Here is a pic of my small setup last year with the crm-2's. 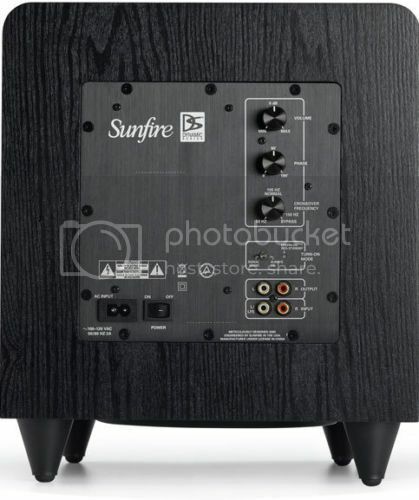 Sunfire SZA-2200 amp, C-19 pre, Sonos wireless music streamer. and the Sunfire sub. Those little and nice lookin woofers kept coming back to mind as I looked at the CF speakers and wondering about outfitting them into my office. Not sure why now that you correct me, why I was thinking they might have been the SDS. There is a place for the big system and also a spot for the mini system. I'm just wandering who has sampled any of these woofers, maybe even in the bigger driver versions and had done any comparing of how they sounded or worked. So here goes again. I have crossed the CF speakers up as high as 325hz and they actually sounded pretty darn good with the lesser cone movement so to speak. Used this setup with a pair of 8" DQ7 woofers in their original DQ7 ported cabinets. Martin got a listen at this setup when he dropped by after picking up a car up north. I know Kingmans setup with his Jr. sub or whatever it was sounded pretty awesome. I think it would put out enough bass to disturb the "office" personel. Maybe nobody 'round here has heard those other Sunfire woofer models??? Ray from Michigan had a set of Carver Knight Shadow subs augmenting his Silvers several years back that sounded pretty good. Has anyone looked into them as I hear they can be had reasonably. Hmmm....I remember some box at one of the first Carverfest's that had a name something like that too. Have 'ta look for the pictures for those years and see what they were. Magnaryder wrote: Ray from Michigan had a set of Carver Knight Shadow subs augmenting his Silvers several years back that sounded pretty good. Has anyone looked into them as I hear they can be had reasonably. The Knight Shadows come up for sale occasionally on eBay if you are patient. Don't have a clue how they would sound with these since they have 1 front directional woofer with out the rear passive like the Sunfire line of earlier subs.